Did you know that conventional plastic plates and bowls can leak harmful chemicals into your baby's food? 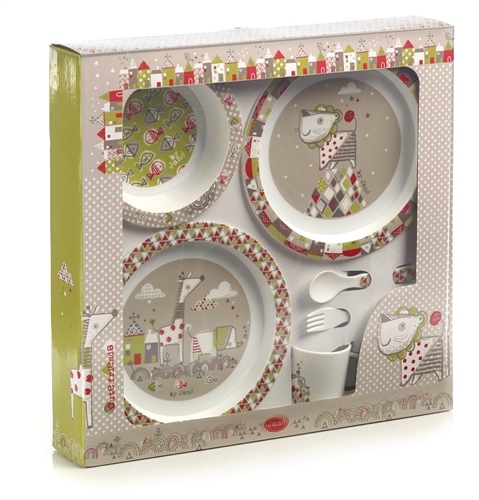 Well, unlike conventional crockery sets, this set is specially designed so it can be safely used in a microwave. An ideal gift and gift box packaged. These items are produced with top quality materials. Suitable for dishwasher use. Can be hot or cold sterilised. Rounded shapes so your child can learn to eat safely. The bowl, plate and children’s cutlery comply with UNE-EN14372 standard. The cup complies with UNE-EN14350 safety standard in “Paediatric Items-Drinking Equipment”. 100% BPA, PVC, Lead, Phthalate Free.